When your marriage becomes emotionally stressful, either you or your spouse will begin to figure out helpful ways for divorce prevention because emotionally stressful marriage is knocking on the door of divorce. Of course, it is a necessary step to be taken by either of you, you begin to look outside to seek for help of professional or marriage therapist who can help you eradicate or lessen the difficulties being faced by your marriage. It is that behaviour, that can help you prevent divorce in your marriage this post is all about, and not to see any external body to help you resolve conflicting behaviour in your marital relationship except otherwise. Holding on to negative mindset in marriage could easily bring in divorce matter in your marital relationship life. A negative mindset toward your spouse is a threat to your marriage and you have to do away with negative emotion and create positive emotions, positive mindset toward your partner will open up more chances to stay much longer in your marriage. If you want to know how to prevent divorce, a good way to get started is by fostering the habit of using compliments and praise. This is very simple to do, all you need to do is just to actively look for good things that your spouse does and verbalize your observations to him or her. Though it may be somewhat difficult if you’ve been feeling upset about your partner’s ways of doing things, but that does not mean you cannot accept changes. Avoid any form of resentment and make use of kind word that will show your readiness to make your marriage work, such kind words will encourage your spouse to be more loving and supportive. There is no marriage that does not have the down side of it, every marriage will at one time face some challenging moment, but the ability of the couple to stand strong will ensure the continuity of the marital relationship. There are bound to be disagreement between couple, you need to disagree to agree. Fight to resolve issues but not to hurt your spouse. You need to be careful here even in the course of your disagreement with him or her; making some statement may do damages to your spouse than you think. Using statements like; “You are so selfish, why you can’t get this simple thing right eh?” can trigger an angry response or hostile reaction from your partner because those statements is capable of hurting anyone. The chain of the reaction may continue and before you realize, more damages would have been done to your marriage than you could imagine. The best way to counteract this trend is by making the first move to be more tactful towards your partner. Even if your partner might push your buttons, you don’t have to obey your urge to fire back. Instead, try counteracting their harsh words by positively framing your emotions. 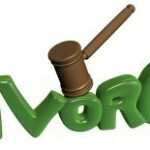 Harbouring hurtful words will continue to bring conflict even with little fault from your partner. Eventually, this will poison the relationship if you don’t learn how to let go of those hurtful words in your heart. To manage the conflicts that arise from your relationship or some of those hurtful statement, the first step is to accept there are some aspects of your partner that you cannot change. It greatly assists to adjust your mindset in the sense that you need to look at it like a chronic physical condition, such as a bad back. I know some times, it can be difficult to go through this, but you can gradually do it over the course of several discussions. You’ll find that it will be much easier to come to a mutually satisfying compromise when you understand each other on a deeper level. 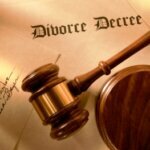 In the end, you don’t have to take huge steps if you want to learn how to prevent divorce. By starting out slowly and surely, you’ll eventually chip away at your marital problems until you make major breakthroughs down the road. If all else fail, you can then turn to marriage conflict resolution expert to help you save your marriage. 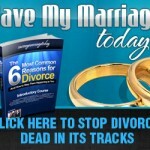 Professional relationship and marriage expert you could look up to is the Save The Marriage Even If Only You Want It. Click now to download the programme of Save The Marriage Even If Only You Want it see how the programme can help you out of your imminent marriage failure. Family Law are usually entangled a broad range of legal subject matters including marriage and children. The most prevalent family law matters in hand consist of child custody & visitation rights, divorce or annulment, spousal support / alimony, and child support payments. Family Law deals specifically with children pertaining to adoption, state child protection, guardianship, domestic violence, and restraining orders for adults. Thanks Bibika for the insight. One more good advice or a way to give marriage a chance, is family mediation. 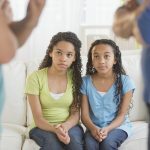 That is maybe the last resort before you get to court, but even if you do decide to the a divorce, family mediation can help you keep things as normal and as stable as possible, especially important for the kids in the family. Bibika you’re on point too here, thanks for the addition.